If you are like me, you constantly forget about Daylight Saving time. Heck, I honestly can’t tell you why it is even implemented. Maybe I should Google it. Anyway, here is a quick tip for all of you. 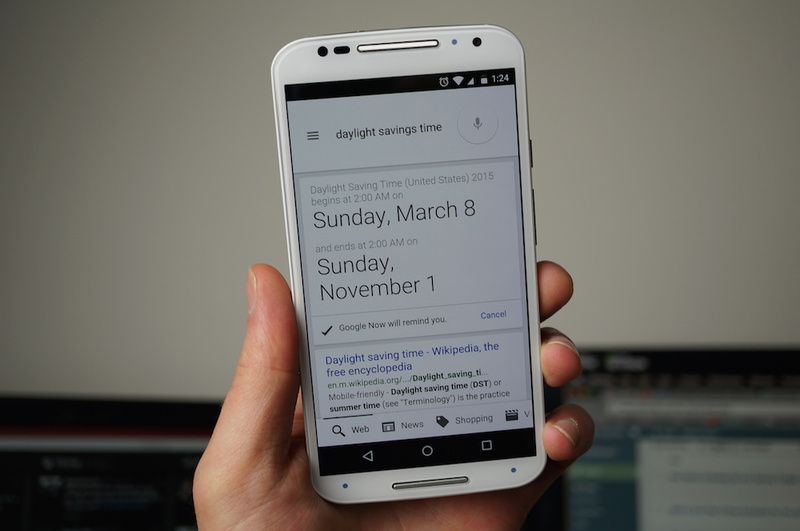 Start up Google Now, then say, “Daylight Saving time.” Google will give you the dates and times for this year, then will also place a reminder button right below for you to save the event to Google Now. Hit this button to make sure you remember to reset all of your home’s clocks the day of. There, now you won’t be an hour late to work.